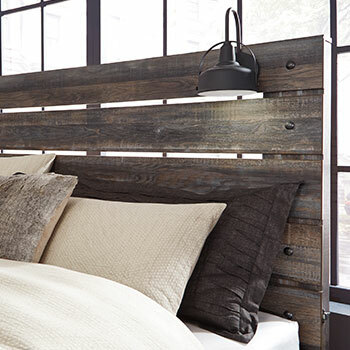 Is your bedroom in need of an upgrade? 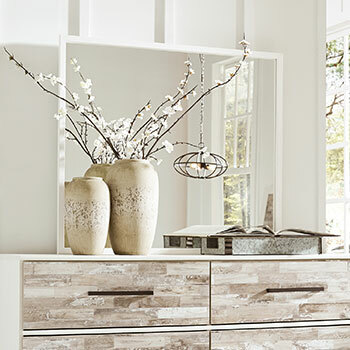 Come to Furniture Gallery, where you will find everything you need to create the bedroom of your dreams. 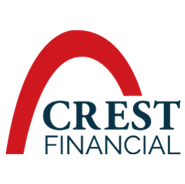 We offer top-quality bed sets, headboards, and an extensive selection of bedroom storage furniture at prices unmatched by any other business in the area. 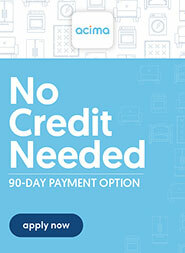 We encourage you to visit us today and see just how easy and affordable furniture shopping can be! 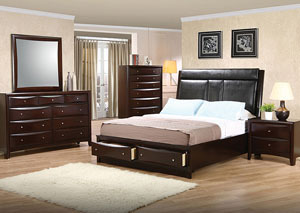 At Furniture Gallery, you can enjoy huge savings on a large selection of brand name beds. 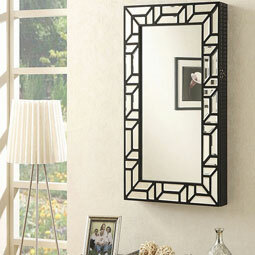 We offer great deals on products from Ashley, Coaster, Global Furniture USA, and so many more. All our beds are made from strong, durable materials that will stand the test of time, and they come in a variety of fashionable and distinctive styles. 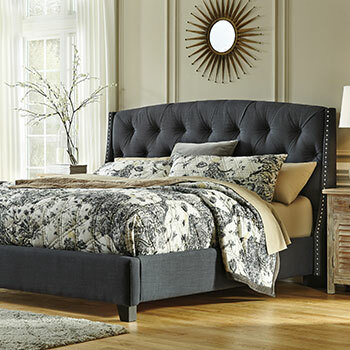 We sell contemporary panel beds, sophisticated poster beds, and even statement-making upholstered beds. 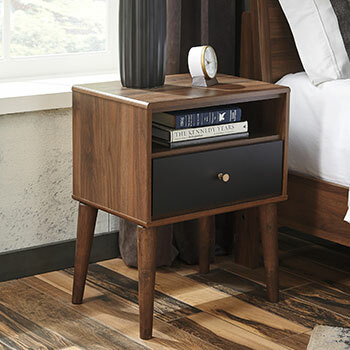 Looking for furniture that will help you conserve space? We have a selection of storage beds for sale as well. 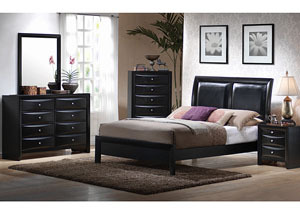 No matter what type of bed suits your style, we can provide you with a wealth of options that you are sure to love. Do you struggle to keep your bedroom organized? 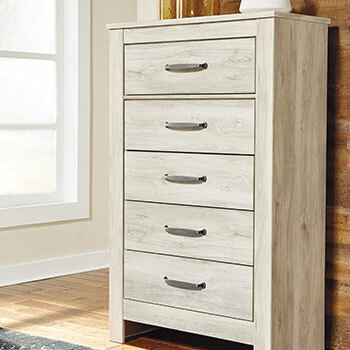 We can help you bring order to the chaos with our spacious bedroom storage furniture. 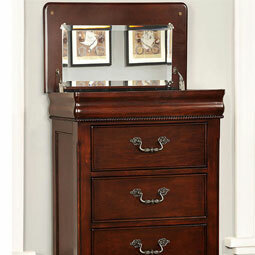 We have hundreds of affordable dressers and bedroom chests for sale featuring ample amounts of storage space. With these versatile furniture pieces, you can designate a space for your clothing, your linens, and all your accessories. 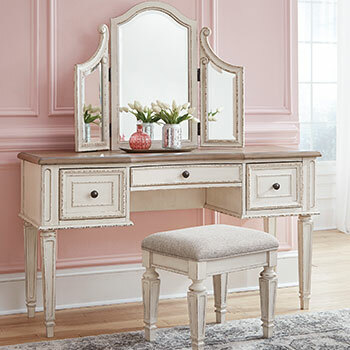 In addition to our standard storage furniture pieces, we also offer more unique items, including vanity sets and jewelry armoires. We even have media chests that provide a place to display your TV and electronic devices. 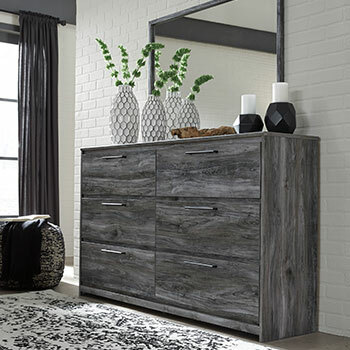 Our diverse collection of storage furniture will help you design a bedroom that is neat, tidy, and exceptionally stylish! 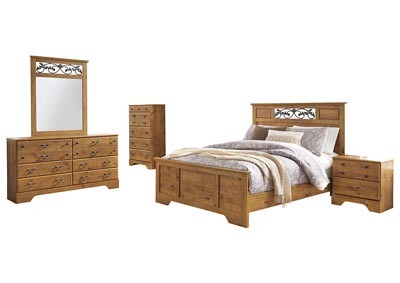 To browse our complete bedroom furniture collection, you can shop with us online or visit us at our brick-and-mortar furniture store located in Braintree, MA. 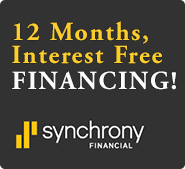 Our staff is eager to help you find the perfect piece for the perfect price!